I am Ian and farm in Partnership with my wife Sue and son Martin who is the 4th generation to farm our 170 acres. We milk about 95 cows which are MRI (Meuse Rhine Issel) and MRI X FR these are ideal for producing good quality organic milk from grass. 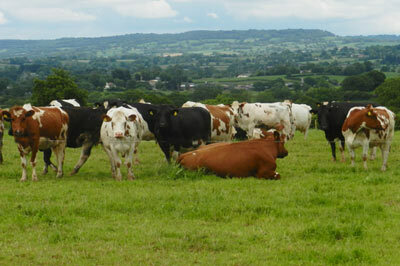 Upton became organic in 2000 and the cows often graze on species rich permanent meadows as these make up 1/3rd of the farm.